It has never been more important to create new, strong anchor points of Oneness. As the old anchor points increasingly fall away, it becomes essential to have new points of stability that are firmly anchored in the Ultra Greater Reality. Right now, this is one of our main focuses. These anchoring points are urgently needed to serve us all. 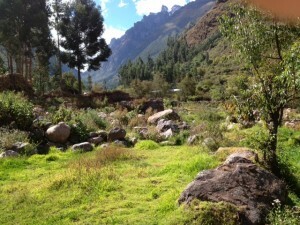 We are in the process of creating the Heart of AN Center in the Sacred Valley of Peru. The participation of our ONE BEING IN ACTION is a necessary component to make this happen, for we cannot do it by ourselves. For more information on AN and the Heart of AN, please visit our new website, The ANvisible. We are now in a new era of Mutual Support. This means that is time for our ONE BEING to step forward and share the responsibility on all levels, especially energetically, physically and financially. We invite you as individuals and as part of our ONE BEING to please come forth and help in whatever ways possible. Your financial support at this time is greatly appreciated for it will enable me to continue on. It will also make our ONE BEING stronger and more viable. Together as ONE, we can accomplish the impossible! Paypal is available in many countries, is easy & quick and accepts both credit cards and eChecks. Become a sponsor of the 11:11 and make a single payment in any amount by clicking on this button. Become a sponsor of the 11:11 and make a monthly donation of $22 by clicking on this button. Your credit card will be automatically charged each month, but you can cancel at any time. If you don’t want to use Paypal, but would still like to make a donation, please email us your credit card number, expiration date, amount of payment and your name and mailing address. email is solara@nvisible.com. They are insightful and amazingly accurate. Surf Report Subscriptions currently cover half of my monthly expenses. If we could double the amount of subscribers, it would be a great help. So please tell your friends…. Click here to go to the Surf Subscription page. Your sponsorship of the 11:11 is greatly appreciated!